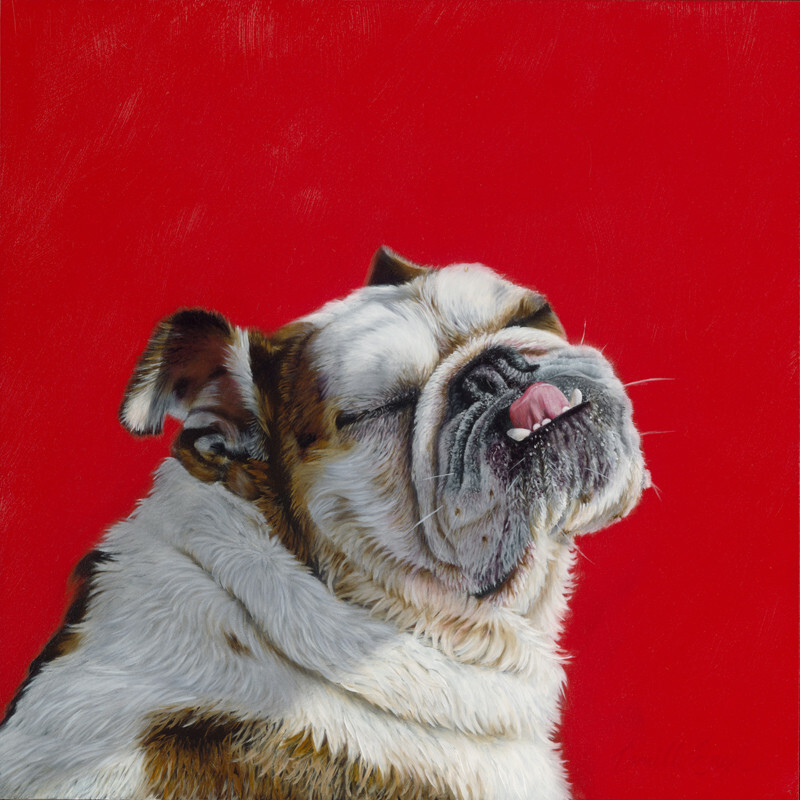 A contemporary realism dog painting depicting, Rosie, a beautiful English Bulldog rescue. We love the sassy eye's-closed, head-over-shoulder pose with a little bit of tongue... a true model-diva pose, don't you think? Rescued dogs and cats are the Tennessee state pet.